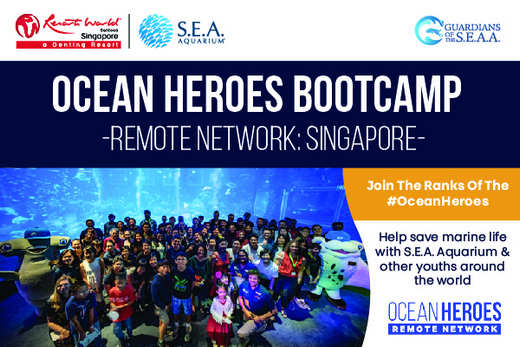 As part of World Oceans Day this year, Resorts World Sentosa will be running a remote site for the Ocean Heroes Bootcamp, one based in Vancouver which will empower youths to conceptualise campaigns to reduce plastic. The bootcamp is organized by members of The Ocean Project, a US- based non-profit organisation which advances ocean conservation. The winning campaign may stand a chance to win a travel scholarship to represent Singapore in the Vancouver bootcamp.